Super Duty Secondary Holder - To properly support large, heavy secondary mirrors several design changes have been incorporated. The larger holders have a proportionately thicker shell and a 1/2" mounting stud. The adjustment plate has been increased to 3/8" thick and a rigid foam insert is used to position the mirror within the holder accurately and maintain this position in any orientation. There are no tools needed to adjust holders of 2.5" or larger in minor axis size; they come standard with thumbscrews. All sizes feature our innovative four screw/two-axis adjustment that greatly simplifies collimation. Two nuts with nylon washers position the holder laterally and also allow easy adjustment of the rotation. The secondary mirror is held securely yet safely against the front lip of the aluminum bezel with polyester batting on sizes up to 4.0" and a rigid foam insert on sizes over 4.25". 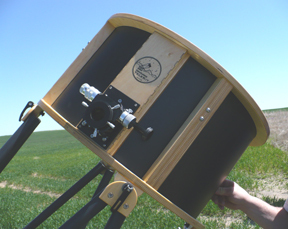 Offset is included, necessary to evenly illuminate the field in short focal length telescopes. Super Duty Spider - Our quality super duty spiders use the finest materials and are built for optimum performance in f/3.3 - f/3.9 telescopes that require extra support. Each vane has 2 fasteners for a total of eight. They utilize 35% thicker high-tensile steel vanes, TIG welded at the hub, giving extra tensile strength to hold critical collimation. The threaded stainless steel vane tips (#10-32) are solidly TIG welded to the vanes, making this the strongest spider on the market. Focuser - We offer the Moonlight CR-2 as standard on the short focal length TeleKits. The fine 8:1 focus control is perfect for achieving critical focus. 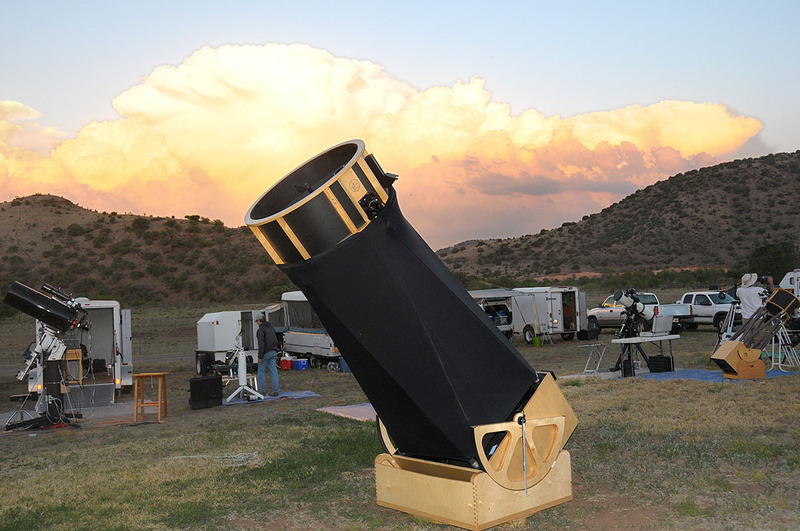 This is one more of the demanding requirements of a short focal length telescope. The Moonlight also handles weight well with the drawtube bearings being opposite the drive axle. The extra weight of highly corrected eyepieces and a Coma Corrector require a stable focuser with fine travel. Cage Construction - The stiffness and rigidity of the upper cage has been increased to match the demands of heavier secondary mirrors and critical collimation needed with short focal length optics. Thicker spider supports (100%), and a thicker light baffle (35%) plus keeping the cage height to 12" on all sizes achieve the necessary strength and stiffness. The filter slide is a naturally stiff mount for the focuser and is enhanced by heavier mount hardware. The supplied Moonlight CR-2 focuser has 1:1 coarse focusing and 8:1 fine focusing. The optional Feathertouch focuser has 1:1 coarse focusing and 10:1 fine focusing. Both feature a compression ring drawtube and adapter, necessary for the critical focus and collimation of short focal length optics. Primary Mirror Cell - The needed critical collimation is achieved by edge support that keeps the primary mirror centered and extra fine collimation movement. Our zero stretch stainless band sling keeps the primary perfectly centered and achieves uniform optical support over a large portion of the edge. The collimation bolts feature 50% finer movement to easily achieve critical collimation. 16" to 22" cells feature 18 point flotation and the 24"-32" have 27 point flotation, combined with the integrated cooling system give your short focal length optic the environment to perform at its peak. Truss Fasteners - The short focal length TeleKits have indexed fasteners to precisely locate the truss, holding critical collimation. The size and thickness of the fasteners has been increased to further augment collimation. Mirror Box / Rocker Box / Groundboard - The TeleKit is constructed of Baltic Birch plywood, offering strength, stiffness and natural vibration damping. 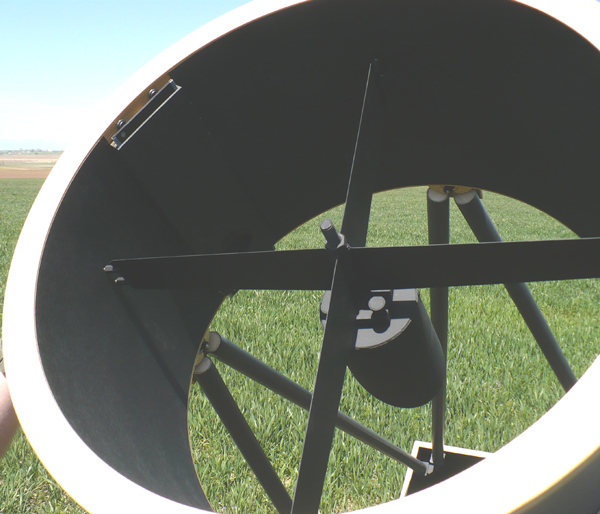 The altitude bearings and rocker box sidewalls and bottom (24"+) are double thick, giving crisp, precise motion. This is further enhanced by our hybrid bearing system of three sets of ball bearings on the groundboard, with adjustable friction, and 2 bearing sets and 2 PTFE pads on the altitude movement. These kits include everything but the optics, AstroSystems can supply the optics or direct you to several opticians to obtain your primary mirror. SFL TeleKits are considered custom since they are made to order. Custom delivery times are typically 8-12 weeks, with the larger sizes (24-32") requiring 12-16 weeks. 1. Mirror thickness and actual diameter. A 10% non-refundable deposit is required to secure your place in the production schedule. UPS Shipping and packaging in Continental U.S.
Do you like all the outstanding features of the AstroSystems SFL TeleKit but don't have the time, space or inclination to build one? Not a problem! We now offer the Quantum finished TeleKit for short focal length optics in 16", 18" (17.5"), 20", 22", 24", 25", 28", 30" and 32" completely finished. Ultra-smooth, four coat polyurethane finish offers unsurpassed protection. We use our own specially formulated penetrant/water resistant primer and 3 topcoats of premium spar polyurethane for unsurpassed water resistance and durability. 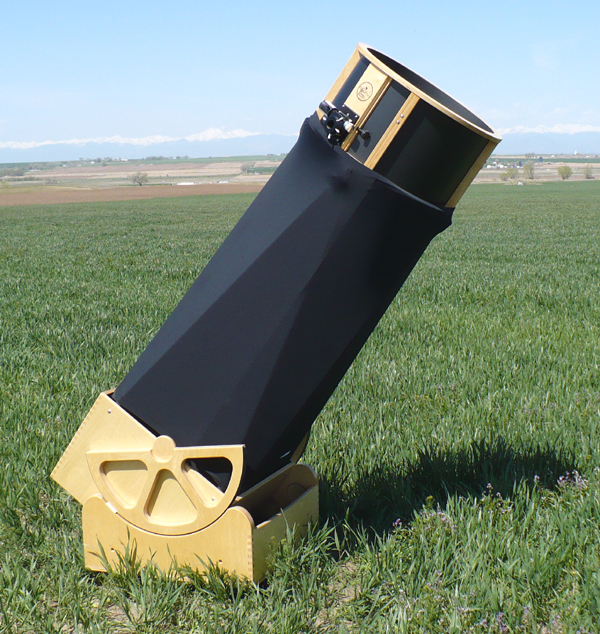 Truss telescopes may look alike from a distance, but the beautiful golden blonde Baltic Birch complimented by the black accents always stands out among Truss Newtonians. The closer you look, the more obvious the superior workmanship, finish and performance becomes. 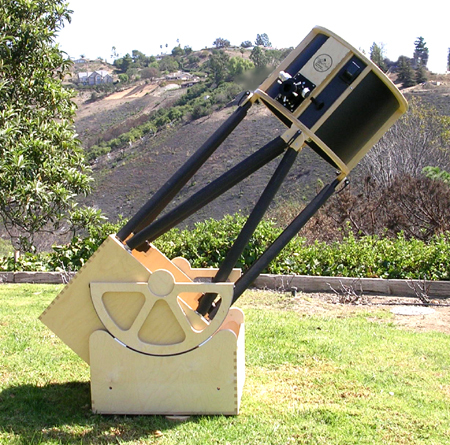 Sky and Telescope magazine called the TeleKit a "heirloom Dobsonian" in their June 1998 review. Ready to drop in your optics, or we can supply optics from one of many recommended opticians. The finished TeleKit features the same precise CNC routed parts as the TeleKit. A Lycra light shroud and transport system are standard. Only the highest quality stainless steel hardware is used.